Let’s look at some of the ways businesses are driving innovation from cloud applications. 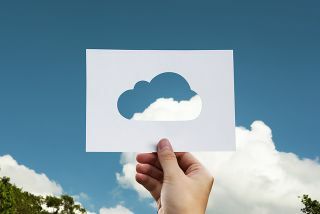 Cloud applications are enabling new business models that allow companies to compete and differentiate in striking ways. Cost savings and operational efficiencies are no longer the sole reason businesses are flocking to the cloud. Forbes cited a study predicting that 80 percent of enterprise workloads will be in the cloud by 2020. Similarly, 78 percent of American small businesses are projected to adopt cloud computing by next year. Clear cost saving has been the primary driver of this trend. The advantage of the cloud for businesses stems from lower operational costs (ie, pay less), the ability to trade large upfront capital expense for smaller, ongoing operational expense (ie, pay as you go), and the flexibility to ramp up only as needed (ie, pay only for what you use). Businesses first considered these operational efficiencies as the principal value of the cloud. We can see now, that was phase one. Once the cables have been laid and more services (applications) are running on it, the opportunity from the cloud will move from the pursuit of operational gains to the pursuit of superior business models. The focus of businesses should now be on the applications layer because this is the source of innovation and differentiation. The product is now a subscription. Innumerable businesses have taken to this model, even across traditional industries. Movies, cars, software, iPhones, home repair, musical instruments, razor blades, and more are offered as subscriptions, bringing in new customers and keeping older ones. However, this puts the vendor onus on customer intimacy, engagement, issue response, and retention. Cloud software apps enable these disruptive business models by handling ordering, pricing, delivery, and services. Myriads of new businesses now start out this way, taking advantage of both the operational efficiency and service innovation of the cloud. A self-service model for customers is that rare example of an actual win-win in business between buyers and sellers. Customers increasingly prefer to find things online and serve themselves: like browsing for products, reading reviews, purchasing, monitoring delivery, or preparing to return products that do not fit. Sellers love this model because it reduces their costs-to-serve by removing the real-time burden (and human engagement) from every customer interaction, especially when businesses are increasingly global. Don't believe it? Try finding a 1-800 number at Amazon. You've never called Amazon to find out where your order is, you've always just known. Cloud apps for business areas like sales and customer service offer sophisticated customer management functions that can be extended into self-service models, using technology like self-monitoring ticketing systems and multi-tenant customer portals that even tiny businesses can now deploy—and look like Amazon. Cloud technology has enabled personalized experiences on an unimagined scale. Your customer now expects personal recommendations, tailored fits, complementary products, and custom looks on items from eyeglasses to shoes to insurance. This is an era of mass customization: the ability to offer the flexibility and personalization of custom goods and services—at high-volume, mass-produced prices. Once again cloud applications make this happen. Customized web pages speak to individual shoppers, using their browsing histories, buying preferences, and purchase histories to customize the entire experience—much like a personal shopper at a high-street retail store, but on a massive scale. Cloud technology enables companies to be distributed, yet come together to serve customer needs anywhere. Our PR agency, for example, is distributed across multiple cities with one office across all of them, yet it serves customers in multiple geographies. Distribution allows companies to source and deploy talent remotely, build multi-lingual teams, leverage people who want to work part-time, and be closer to the customer. Sophisticated cloud apps make this happen. Communication tools bridge distances using online meetings, video conferences, chat, and screen sharing. Productivity tools span teams by allowing collaborative work across shared presentations, spreadsheets, project plans, and calendars. These tools also work on any device. On the cloud no one knows how big a business really is. Even a fledging business with a few employees can appear big and sophisticated through clever use of software to automate their business processes, to provide a broad range of services, and to be more responsive to customer needs. This allows companies to not just capture new business but also gain the business of larger customers who expect more. Ecommerce and other cloud applications allow online selling by displaying products, tracking prospects and customers, managing inventory, enabling customer fulfillment, gaining and presenting customer feedback, and enabling returns. A startup can do all of this today, when even large traditional companies fall short of this level of customer engagement and service. Cloud invoicing and accounting applications can integrate with other business systems in sales and marketing and process customer orders from multiple geographies and currencies, without requiring physical and local presence. Today, customers decide how to engage. At any stage of their engagement with a business, they may connect through their website, store, phone, chat, or through their social properties. The business simply needs to be there, and respond. Many cloud applications in areas like marketing, sales, customer support, and payments are built this way. They enable interactions across multiple channels and preserve context, continuity, and history across all of them, allowing businesses to seek and gain customers of different ages and predilections. Cloud technology has rapidly moved from building infrastructure to enabling business innovation, much like what the interstate highway systems did for commerce and business more than half a century ago. Barriers to entry for smaller companies have been forever lowered. Innovation now spurs from reinventing existing business models and inventing completely new ones. It’s all in the application layer of the cloud and this will be the focus of business and IT executives over the next decade.